As with many blockbuster sets of discs, this intégrale of 105 songs (including one duet by the two artists and the two Op. 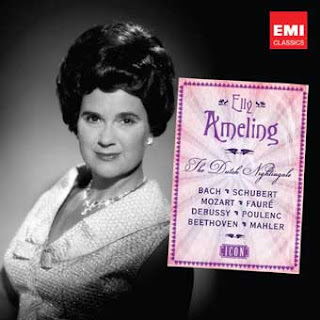 10 songs by Ameling duetting with herself) prompts the fundamental question of how records are expected to be used. 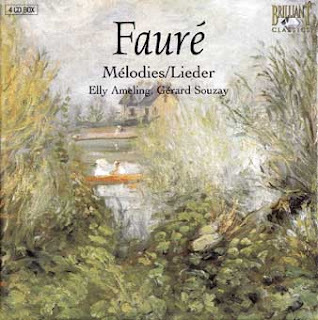 To have Fauré’s total output of melodies available is obviously a great boon for admirers of this refined, elegant and elusive composer and for students of the art of song-writing, but no one in his senses should try to listen to more than about half an hour of them at a stretch: they are too subtle and exquisitely wrought for their savour to be lost by wholesale consumption. There are also, let’s face it, too many slow and reflective songs for many to be grouped together. 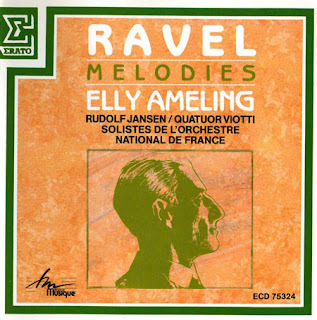 So take this over-four-hour feast in very easy stages, stopping to observe Fauré’s development over 60 years as well as to admire the artistry both of Ameling and Souzay and of their accomplished and sensitive pianist Baldwin.